It has arrived! The 2017 Odyssey is now available at Dow Honda! 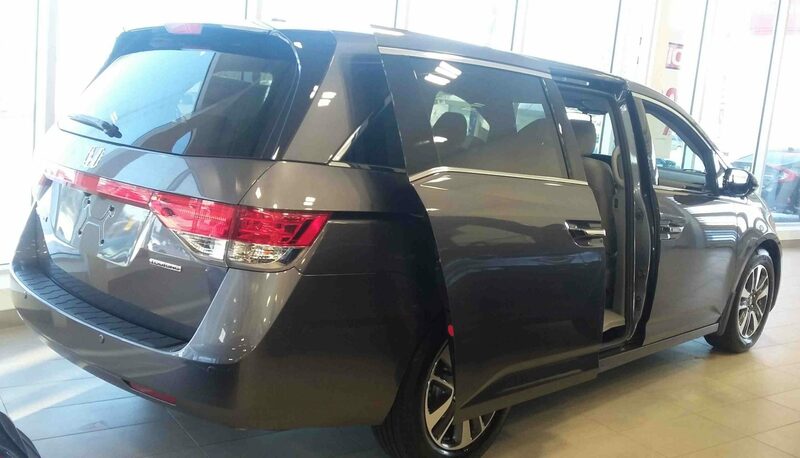 Visit us today to see this 2017 Odyssey Touring that we have on display in the “Modern Steel Metallic” paint colour. It is powered by a 3.5L, 24-valve, SOHC, i-VTEC, V6 engine with a 6-speed automatic transmission; with an average fuel economy of 12.3/8.6/10.7 L/100km (city/highway/combination). The Touring trim level stands out with its 18 inch aluminum-alloy wheels, a hi-gloss black rear roofline spoiler, and reflector tailgate garnish. The cabin stays exceptionally quiet, thanks to the Odyssey’s Active Noise Cancellation and its acoustic windshield. 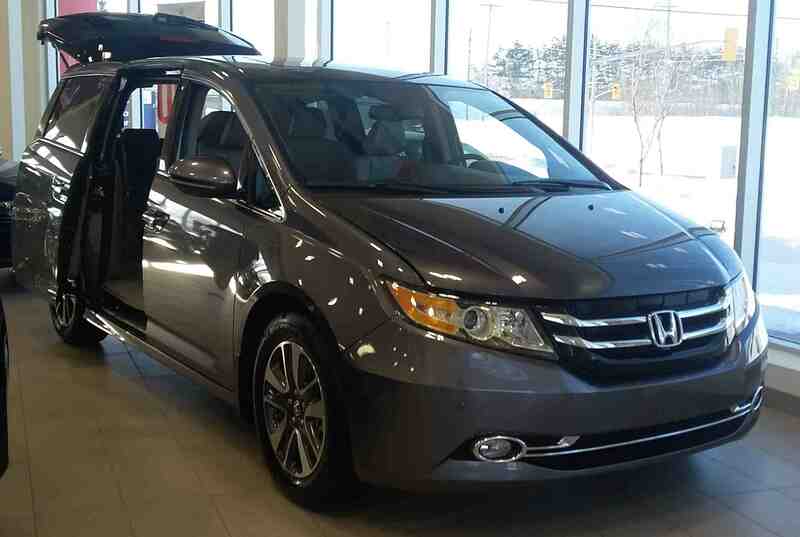 The Touring trim level comes with a wealth of comfort and convenience features. This includes a power moonroof, power sliding doors, power tailgate, rear privacy glass, and a cool box. Loading the Odyssey with passengers or cargo is made simple, with its third row of Magic Seats, proximity key entry, and pushbutton start. The 2017 Odyssey is fully-loaded with all the safety and entertainment technology that a busy family could need! 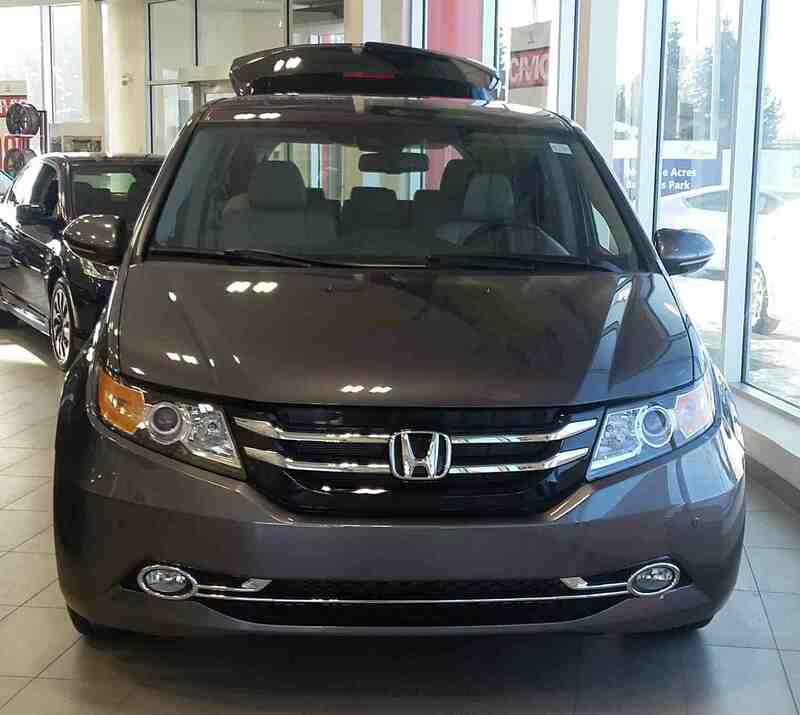 If you’re looking to keep your passengers occupied, try the Odyssey’s DVD Ultrawide Rear Entertainment System, Bluetooth Streaming Audio, HondaLink, or the built-in 15GB hard disk drive! 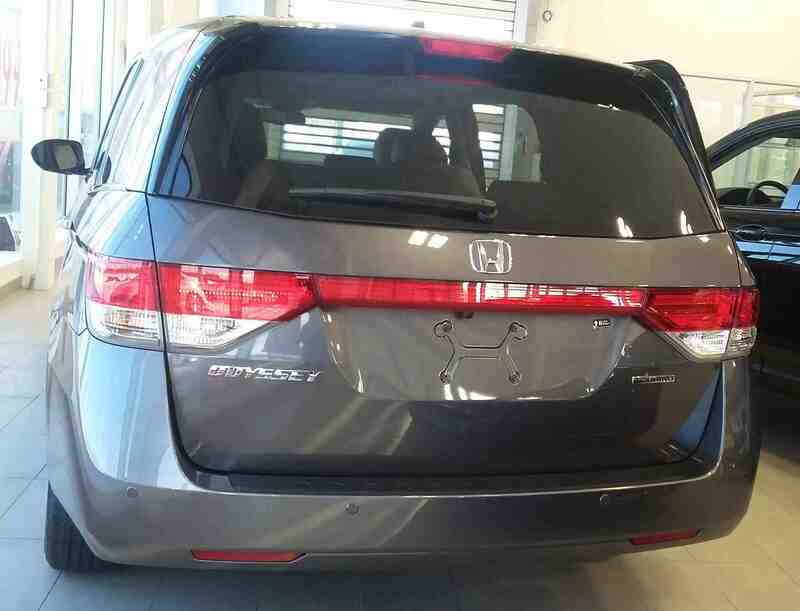 The Satellite-Linked Navigation System, multi-angle rearview camera, and Honda Sensing work together to keep you and your passengers safe.The Touring trim level wouldn’t be complete without its signature Honda VAC! The Odyssey Touring is the only trim level to feature the unique in-car vacuum. If you would like to take the 2017 Odyssey Touring for a test drive, click here! If you would like to learn more about the 2017 Odyssey, click here!